Successfully Added Car Rearview Mirror with Wireless Parking Camera (Bluetooth, MP3, FM Transmitter) to your Shopping Cart. Park with confidence with this awesome car rearview mirror and wireless parking camera, and enjoy MP3s and hands free communication too. All in one car reversing set with everything you will need for safety as you back up your car. It easily clip-mounts over your existing rearview mirror and if you have trouble with parallel parking, then this car accessory will be your next best friend. 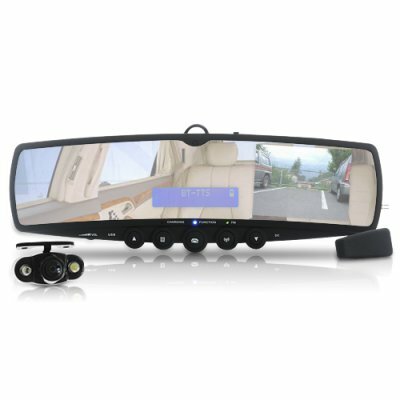 This rearview is the best choice for car safety and reverse driving since it features a wireless parking camera assisting you when driving backwards. Parking accidents can hurt your bank balance with insurance not paying certain damages that don’t reach a threshold. So why not invest in this great parking aid and cut down the chances of damaging your car. This new car gadget comes with a detachable Bluetooth earpiece for added convenience. To make sure the caller can hear you loud and clear, this Bluetooth rearview mirror comes with full duplex noise cancellation MIC located right at the front of the unit, enabling you to have the most comfortable and enjoyable hands free conversation with callers. This Bluetooth rear view mirror can also execute functions such as voice dialing, last number redial, call waiting, one touch answer and many more. You’ll be amazed at the convenience of all these features once you try them, and you’ll wonder how you’ve lived without them. Load up your favorite music onto your SD/MMC card or U-Disk and play it through this awesome gadget. The built-in FM transmitter also enables you to listen to calls and music from your Bluetooth enabled cell phone directly on your car's speaker system. Why buy separate devices when you can have it all in this feature packed car gadget. For safety, convenience, incredible features, as well as turning your vehicle into a babe magnet, click "Add to Cart" now, and we'll express ship one to you straight away. 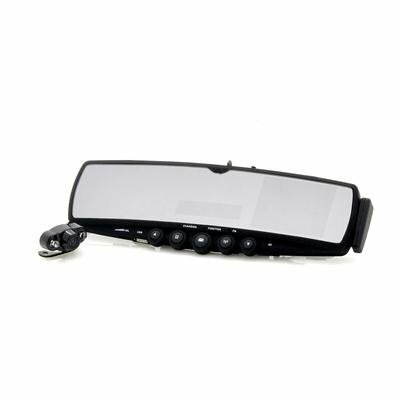 This Car Rearview Mirror with Wireless Parking Camera is brought to you by the leaders in wholesale mirror monitors and china electronics, Chinavasion. Установил,работают все функции исключительно.Рекомендую приобрести. Заказывал 15 декабря 2012г.,получил 15февраля 2013г.Зеркало пришло в отличном состоянии,комплектность как и написано. Пока занят на работе,нету времени установить.Как установлю,проверю,отпишусь.Пока спасибо. Does This product come with remote control ?